Since 2004, National Dog Day has been observed on Aug. 26 to encourage dog ownership of mixed-breed and purebred dogs, and to remind us all that canine companions deserve to live long, healthy lives. 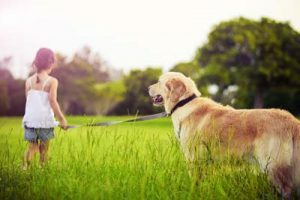 That’s why for the second year in a row, Morris Animal Foundation (MAF) is running a campaign this month through Aug. 26, in which an anonymous donor will match all gifts made to the Golden Retriever Lifetime Study, dollar for dollar, up to $50,000. The $32 million study gathers information on more than 3,000 golden retrievers throughout their lives to identify the nutritional, environmental, lifestyle, and genetic risk factors for cancer and other canine diseases. Its primary goal is to reveal potential risk factors that may lead to the development of four types of cancers common in golden retrievers: hemangiosarcoma, mast cell tumors, lymphoma, and osteosarcoma. Donations can be made to the Golden Retriever Lifetime Study at MAF’s website here.